(iii) Khashoggi contracted by Brennan’s rogue C.I.A. to blow up relationship between Trump and MbS. TMR Editor’s Note: There are many notable pieces to the Khashoggi Assassination puzzle that demand close examination. It’s very important to note that no other assassination in recent history has received so much mainstream media (MSM) attention as the macabre killing of Jamal Khashoggi. One would think that he was the JFK of Saudi Arabia from the nonstop, above-the-fold print reporting, especially from the American MSM. There are very good reasons for this. The entire assassination conspiracy was stealthily crafted by John Brennan’s rogue C.I.A. Just like former CIA Director Allen Dulles literally commandeered the assassination plot of JFK in 1963 after he was fired by President Kennedy, it appears that Brennan oversaw this scheme to take out Khashoggi in the most crafty and dramatic way. The Washington Post is a key cog in the CIA’s Mockingbird Media and, therefore, all of their reporters are either card-carrying CIA agents or covert contractors. There’s no question that Khashoggi’s loyalties shifted majorly after he began writing for the WaPo in September of 2017. That month marked the beginning of the end of Khashoggi. The ongoing war between President Trump and the WaPo’s owner Jeff Bezos is well documented. Bezos has always been a prime CIA asset (that’s why he was chosen to build and head Amazon.com) and he was recruited to purchase The Washington Post by his handlers. The top spooks at Langley knew they could count on him to weaponize the premier newspaper of record whenever ordered to. And so he has—BIG TIME! With this critical understanding, it’s very easy to see how Khashoggi was used by the rogue C.I.A. to drive a massive wedge between Trump and Saudi Crown Prince Mohammad Bin Salman Al Saud. MbS, as he is known, was an extremely vulnerable target for a WaPo investigative journalist, particularly one like Khashoggi who was a lifelong insider within the House of Saud. • Khashoggi was closely associated with “Prince Turki who was the director of the Mukhabarat, the Saudi state intelligence apparatus”. It’s quite likely that whatever Prince Turki knew about the false flag terrorist attacks of 9/11 where it concerned the direct involvement of Saudi Arabia, so did Khashoggi. TPTB could simply no longer trust him with that highly radioactive 9/11 information. Ten days before the 9/11 terror attacks on New York City, in which some 3,000 Americans died, Prince Turki retired from his post as head of Saudi intelligence. It was an abrupt departure, well before his tenure was due to expire. What does Turkey and the apparent honeypot have to do with all of this. President Recep Tayyip Erdoğan was determined to pose a countervailing force to the Saudi juggernaut that started rolling across the Middle East with the blessing of their partner-in-war-crimes—Israel. This highly aggressive military posture is unprecedented and was assumed by Saudi Arabia with the ascension of MsB and the forming of his close partnership with the Trump administration. Erdoğan knew that he had to do something very radical or else his grandiose plans to form a 3rd Millennium Ottoman Caliphate would be doomed. Hence, the evidence demonstrates that honeypot Hatice Cengiz was sent into Jamal’s life to entrap him in a scheme that would seal his fate, which it did. The whole story about “Khashoggi collecting divorce papers relating to his previous marriage” never made any sense. Why Khashoggi would ever enter the Saudi consulate in Ankara is even a greater mystery, especially in light of his exceedingly dangerous position as potentially the greatest whistleblower OF ALL TIME (e.g. 9/11 truth). KEY POINT: It’s quite possible that Hatice Cengiz, herself, was truly unaware that she was being used as a honeytrap. This distinct possibility — due to her sincerity — made the conspiracy to lure him into the consulate much more doable. That the entire conversation was recorded after Khashoggi entered the consulate is also quite suspect. That’s because the entire assassination plot was implemented according to a carefully constructed plan. The only one who didn’t know about it was Khashoggi. Even Trump knew about the murder plot as Khashoggi was the most monitored man in the USA…in Turkey…and anywhere else he traveled to. But why would President Trump permit a rogue CIA faction to pull off such a dastardly deed in broad daylight, especially one that would completely tear apart the US-Saudi relationship? Trump is more concerned about the price of oil in 2018 and beyond than anything else on Earth. His main promise and purpose is to MAGA, and he cannot do that with a skyrocketing or wildly fluctuating oil price. Hence, this whole scheme could also be used by his administration to keep MsS on a very short leash. Which it has done. This high-profile assassination also allowed Turkey to re-assert itself onto the Mideast geopolitical chessboard in a HUGE way. Turkey believes that the heinous assassination can forever be used as a cudgel to beat Saudi Arabia whenever it oversteps as it’s doing everyday under the tyrannical MbS. It’s true that Khashoggi turned into a loose cannon, a live wire and a liberal pawn of the globalists, all at once. Therefore, he quickly morphed into the MOST DANGEROUS MAN ON EARTH as far as his former masters were concerned. Given the exceedingly high MSM platform that the WaPo is, there was no telling what highly radioactive truth he might attempt to publish in the conduct of his various quixotic pursuits. Simply put, in his intensifying ambition to take down MbS, Khashoggi, totally screwed up. After all, the Saudis have access to the same deep intel that Israel has access to; for they’re joined at the hip and always have been (*See “KEY POINT” below). Hence, MbS & Company knew his every move before he even talked about it. They knew Khashoggi would act on behalf of the powerful Saudi faction associated with billionaire investor Prince Alwaleed bin Talal, henceforth. You don’t incarcerate and torture 200 Saudi VIPs (princes, generals, business magnates, etc.) and expect their not to be major blowback. (2) Is The ‘Saudi’ Royal Family Jewish? Now that the C.I.A. has issued a report boldly incriminating MbS, anything goes. This thing can explode into a clusterf*ck of incriminations and recrimination by all the concerned parties…and there are many. Just sit back and watch the fireworks, as it’s going to get very interesting indeed. TMR’s next report will cover the inevitable cataclysmic damage in the wake of this geopolitical superstorm. It may also prove to be a perfect storm where it concerns the desperately needed revelation of 9/11 truth. N.B. The following article makes several excellent points which support the TMR analysis above. What’s very curious is that the originating link posted at the end almost always returns a page that says: “This page isn’t working“. Partly this is a guilt complex of the Wapo editors, who I have accused in earlier articles for more or less sending Khashoggi on a suicide mission when they chose to publish his articles in Arabic. 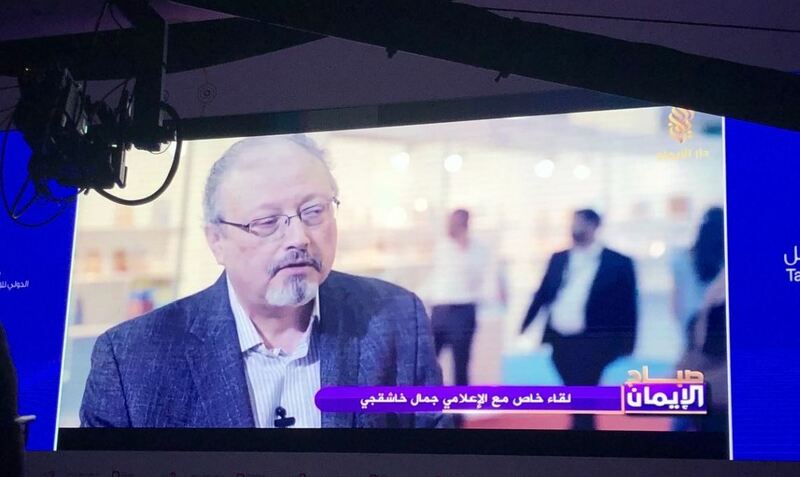 This was recently confirmed when Khashoggi’s editor at the Post – Karen Attiah – admitted to The Independent that the traffic which the Arabic articles generated shocked bosses there. I have always argued that this was a final blow for MbS, humiliated now by his adversaries in Riyadh who can read about his failings on a regular basis. And it’s also about the fact that the Post considered him part of the DC elite. One of their own, which explains why he has become so canonised and his personality enshrined in virtue. In truth, Khashoggi was no saint. He took the King’s shilling from the Saudi elite all his life and made a good lifestyle for himself. At the end of a thirty year relationship of working for them and learning all of their secrets, he used that privilege as a weapon to destroy MbS. In most cultures around the world, this is called treachery. We should remember that even in London in 1963, when British spy Kim Philby defected to Moscow, many wanted him to hang for selling out to the Russians and being a double agent for all his career. Khashoggi may well have been an amiable character. But he was also a traitor. We are led to believe that he left Riyadh in 2017 because he feared being detained. But could it be that he was frustrated at not being promoted within the hierarchy? A select number of journalists and academics, like Dr Nafeez Ahmed, support this theory, in part at least and go further to say that Khashoggi was murdered because he was about to distribute solid evidence of the Saudis using chemical weapons in Yemen. The British academic also underlines Khashoggi’s role for Saudi intelligence and, moreover, how he helped the Saudi royal family support Bin Laden, right up until 9-11. Yet my own sources close to the Saudi elite tell me that MbS wanted to call him back to Riyadh because Khashoggi was at the centre of a coup in the making, which would have benefitted the former Crown Prince Mohamed bin Nayef, and still operated very much as though he was a Saudi intelligence asset. Not so much a treacherous journalist who didn’t know which side his bread was buttered, but more a double agent who was the gatekeeper of incendiary information. Something had to be done about Khashoggi. Frustrated journalists are dangerous people. They lose sight of their loyalties and promises they made. And Khashoggi was an odd character struggling with an identity crisis. Is it the same case with Karen Attieh on the Oped desk of the Post which managed him? Did she connect with him as she too feels not taken seriously by her bosses at the Washington Post? Conspiracy theory extended? Unfortunately we are led to feral speculation when we are denied the facts, especially deliberately. Western media has a lot to be ashamed of on both covering up the Khashoggi murder – by going along with the demonization of the kingdom – and in being part of it happening in the first place. How does all of the gory details about Khashoggi’s murder get reported as fact by the Post, when it has no proof from the Turkish police sources who supply them? There is gargantuan hypocrisy at play here as the Post is part of a conspiracy now. It played a role in Khashoggi getting murdered and it is now playing a role in diverting blame away from itself and blithely accusing Saudi Arabia’s leader of the murder with little or no solid evidence. This is sloppy journalism on a whole new scale and shows a dire lack of journalistic credibility and judgment (unless of course the Post is part of a murky campaign of disinformation which has been agreed between Ankara and Washington whose firebrand leaders are now on good terms once again). Is the Post part of a dirty deal which has been struck by Trump and Erdogan to rewrite this story? Far fetched? Ludicrous? Maybe, but let’s look at the facts. Trump is standing back and letting Erdogan continue with his drip feeding of sensational detailed evidence, in a blackmail game with MbS – but what’s the price Americans pay for that? To place himself at the centre of that charade, Trump has indicated to the Saudis that they need to release women activists from jail (likely to happen soon) and to cancel the Qatar blockade (on the cards, but will take longer). But before that happens, what we are witnessing is Trump looking for a media distraction (sanctions against the Saudi ‘killers’) while he mulls the idea of letting Erdogan have the exiled cleric, Gulen, who the Turkish President accuses of being the architect of the July 2017 attempted coup. But he has also allowed Erdogan to use the US media as a platform for his own moral tutelage. Yes, astonishingly, the Washington Post – which presents itself as an arbiter of free speech and a protector of journalists and their sanctity, following Khashoggi’s murder – chose to publish Erdogan’s Oped about the affair, giving the Turkish leader the edge in the power game by selling out the lives of all 170 journalists in Turkish prisons, which, presumably, Wapo editors just forgot about on that given day. One can only assume that Karen Attiah managed to hold back the tears for those who are rotting in Turkish prisons for merely writing an Oped which vexed the Turkish leader. Presumably Erdogan paid the Post to publish the piece – otherwise, if it were gratis, then that would be like wapo supporting him and his political leadership. But was this the same money that Saudi Arabia is reported to pay to regional media outlets to buy their loyalty? How can a Middle Eastern leader who has imprisoned a record number of journalists and who is now blackmailing the Saudis, get the support from the Washington Post? Can this really be happening? Erdogan must be laughing his head off in Turkey as he sees day after day that western media just report as facts, what his officials say about the details of the murder. And laughing even hysterically when all he needs to do is write an article taking the moral high ground – don’t laugh – on the rights of journalists in the region and give it to the Post to publish. Good investigative journalists are cynical about everything which is presented to them. Is, for example, the relationship between Khashoggi and his fiancé entirely what it seemed, or was she directed by Erdogan to ‘honey trap’ the Saudi journalist as part of an elaborate plot to ensnare the Saudi crown prince? Sources from the intelligence community of one middle eastern country (I prefer not to name which one) are at least beginning to wonder about this. And almost certainly so are the Saudis. Yet western journalists who refuse to at least consider that the Khashoggi abduction was bungled (and ended up being a murder) are likely to call this a conspiracy theory. Even if it is, they should at least report on it and mull it. What about all the tools which the hit team brought, they might ask. Could they have been brought to be used to scare Khashoggi into handing over the information that MbS was seeking? Khashoggi’s fiancé doesn’t seem distraught and the sheer speed in which the couple headed towards the marriage courts is questionable, as is, indeed her own personal relationship with Erdogan, which she even admitted to the BBC. Other questions should be the ‘evidence’ presented by Erdogan, which is looking ropy to say the least, which some journalists are identifying as such. For the moment, the only certain thing about the Khashoggi affair is how standards of western media have plummeted to an all time low with the Post leading the pack with partisan judgment, check book journalism and an internal guilt trip fuelling their unremarkable reporting, not to mention their abysmal editorial judgment. American media has lost the moral compass and Khashoggi will be remembered for this above all – with many arguing that this, in itself, plays a role in the impunity of those carrying out the rendition and murder. 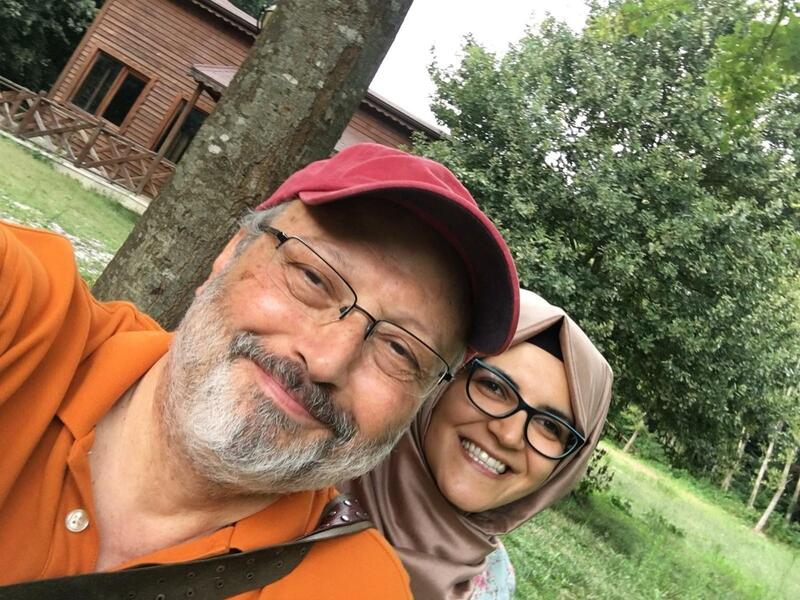 When the Saudis fell into the Turkish trap, they probably believed that Turkey would be the last place in the world to care about one kidnapped journalist. But they could never have imagined how partisan, sloppy and hypocritical western media would be in covering the story. What Khashoggi has taught us is that the day that Americans read newspapers based on the editors’ judgment are well behind us. So why should we read them at all?